Happy Life! 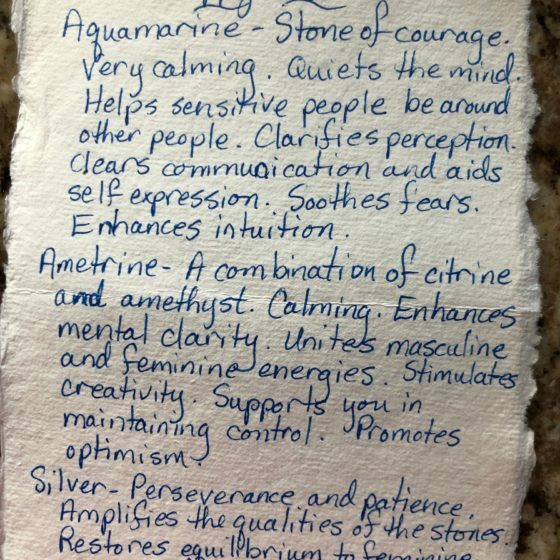 Aquamarine is the stone of courage to help you go out and do what you really want to accomplish. Ametrine is the perfect combination of calming and creativity to help you on your path. Plus it promotes optimism! 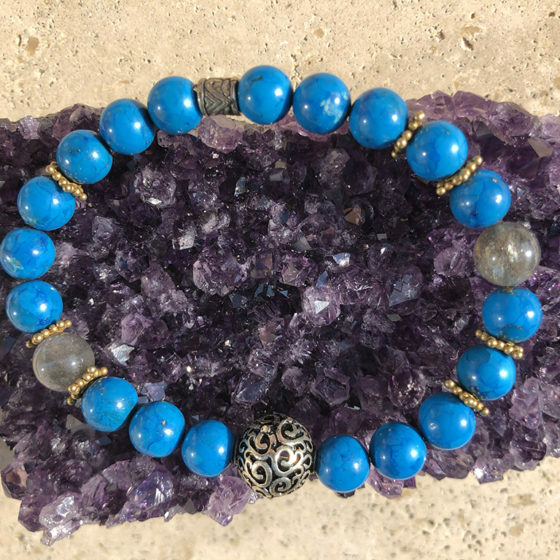 Given that every gemstone bead is uniquely sourced from locations all over the world, each bracelet is truly one of a kind. 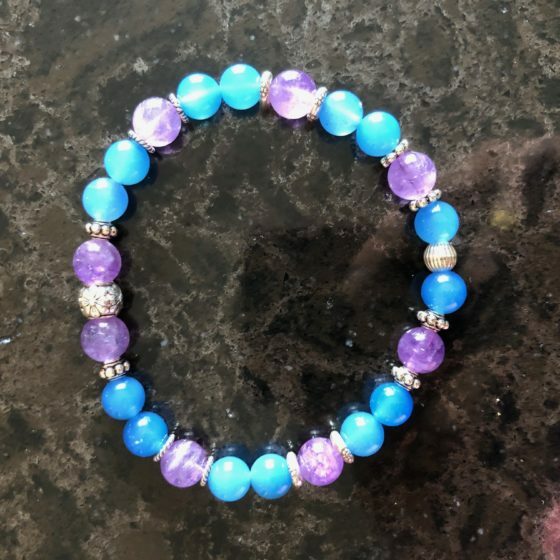 The picture of the bracelet is the actual bracelet you will receive minus additions or subtractions necessary for sizing. 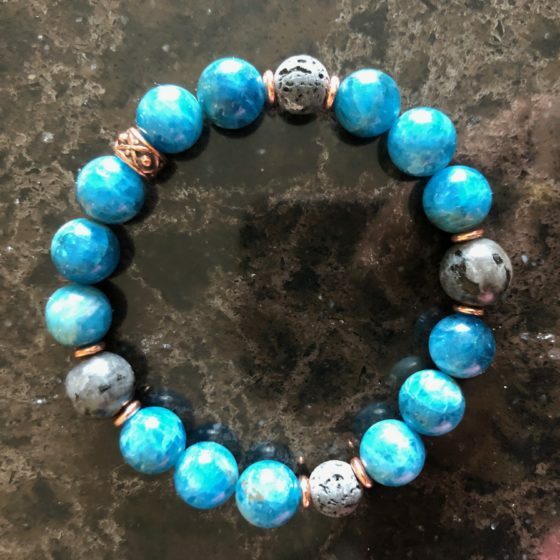 A similar design can be made upon request, however, it will not be identical due to the varying nature of the stones and rarity of some of the components. 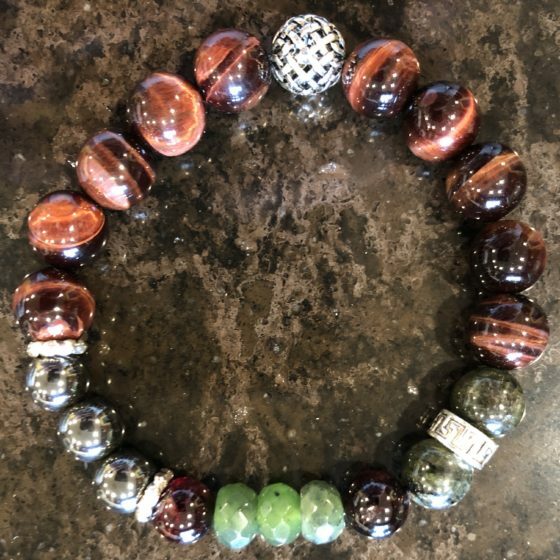 There is a great deal of energy that goes into making every bracelet. 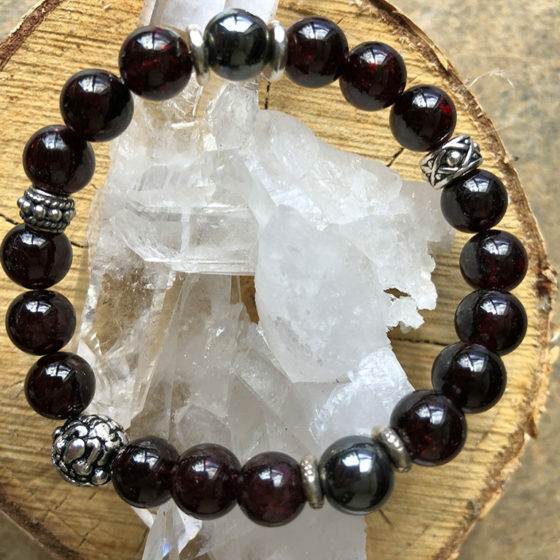 Each bracelet is highly unique and designed with the desires and needs of the wearer in mind. 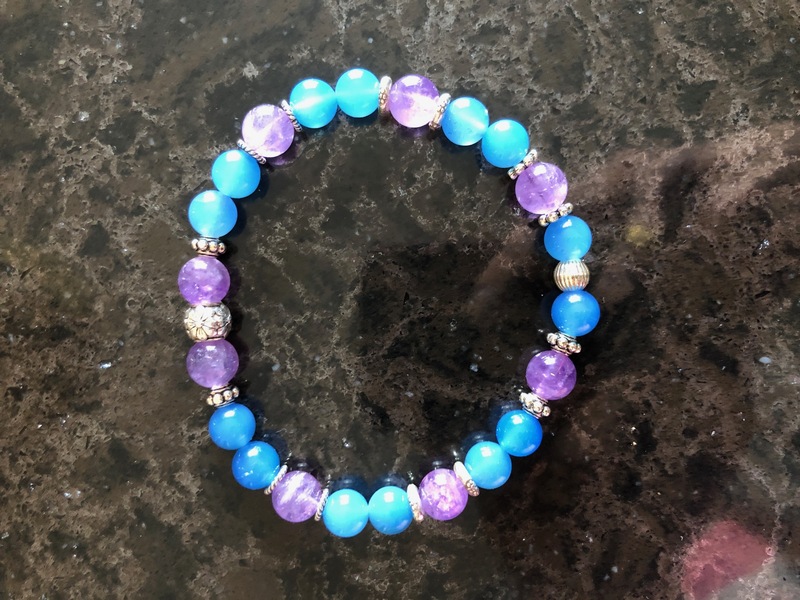 Kimberlee can make a bracelet based on someone’s expressed need, or she can do a reading for the person to help them discover what type of stones and metals would serve them best. Kimberlee searches the world for high quality, natural stones. Silver, gold, copper, and pewter are often incorporated into each design. Crystals, stones, and metals all resonate according to their structure. 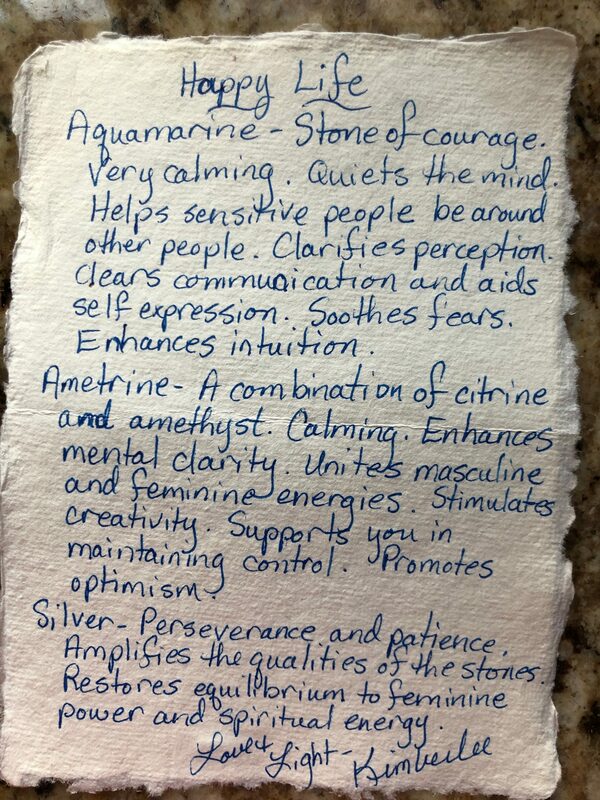 Many people are highly sensitive to the energy emitted by crystals, others are less sensitive. 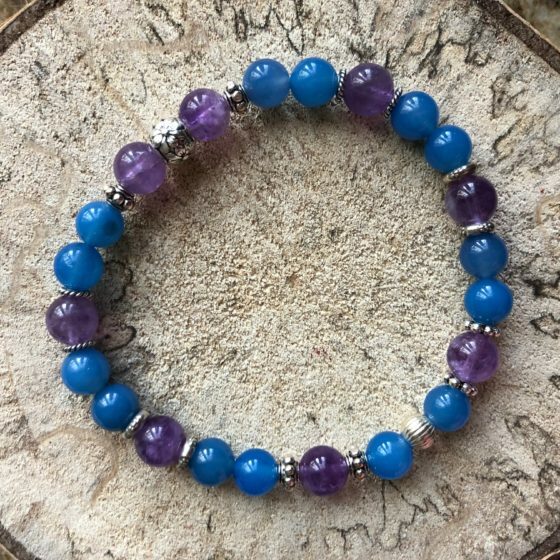 It matters not because the stones are a constant reminder to the wearer of what they are trying to manifest more of in their life. Given as gifts the stones are even more powerful. Do you remember the last time you received a gift designed specifically for you? It is joyful beyond belief! Men, women, teens, and even children love to grow and live more fulfilled lives. 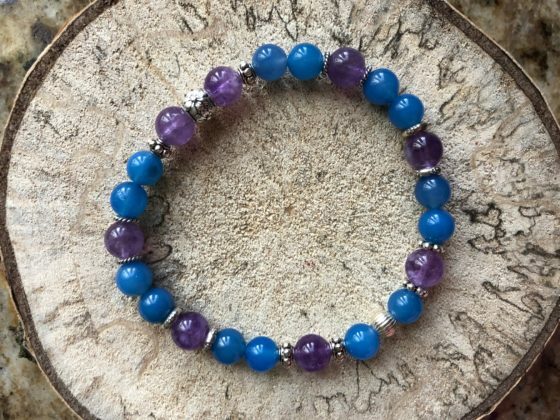 The bracelets are a beautiful, fun, and surprisingly powerful tool to help you on your spiritual journey. 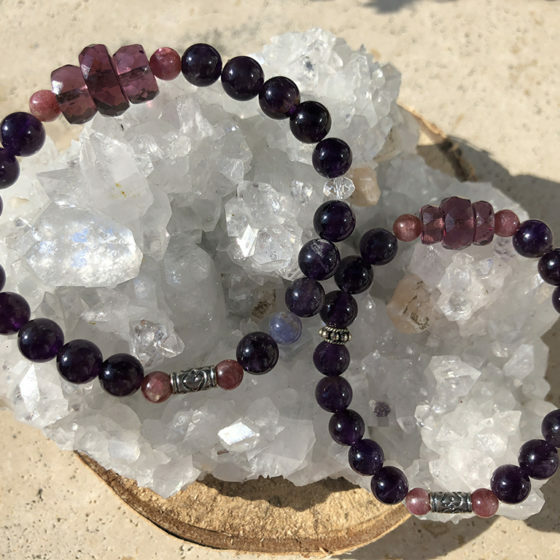 Each bracelet spends a great deal of time on elestial quartz, amethyst, citrine, clear quartz, and Lemurian crystals to cleanse and energize them to their full potential. Finally, Kimberlee blesses each piece accordingly. 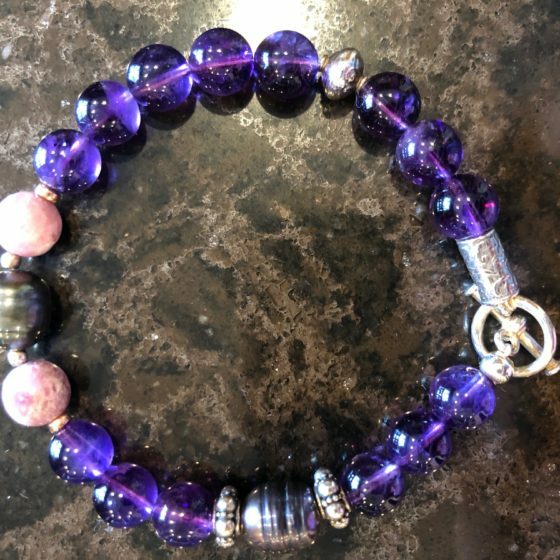 Each bracelet is custom sized and can be adjusted if needed. After we receive your order, Kimberlee will reach out via phone or email to learn more about what you’re looking for, and to talk about sizing and fit preferences. It also gives her an opportunity to hear your story and provide some extra custom touches just for you. More Questions? Check out our FAQ Page or send us an email.